The original Apple Newton was - at the time - the best Personal Digital Assistant technology around. One of the mistakes by then-CEO John Sculley was to think the average person would buy a Newton, like a VCR or CD-player. He didn't realize the Newton would catch on as a vertical market tool, especially suited for mobile data collection. 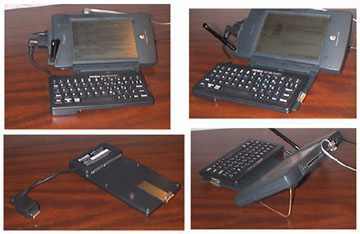 The MessagePad 2000/2100 is more a hand-held computer than a PDA. I have been a Newton user since day one (well, actually two; I went to MacWorld Boston on the second day). I can honestly say that the MP2000/2100, while not perfect, is all but indespensible, and can usually replace most things you use a laptop for. Internet connection for browsing, e-mail, FTP and News, depending on application. text to speech supported, although Apple never officially released the application. How do I use my Newton 2100? Well, besides the obvious calendar and scheduling options, the address book and notepad for quick notes, I use mine in my day-to-day occupation. My main use is for environmental, safety and industrial hygiene data collection. I've written two data collection modules for Notion and PowerForms. The former is suited for safety audits; the latter for industrial hygiene data collection. Also. 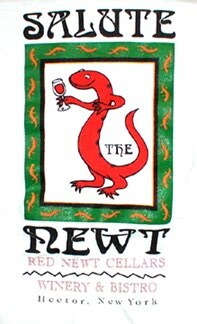 A great Newton T-shirt is available from Red Newt Cellars in Hector, NY. Note: to download either right-click on the link (PC) or click-and-hold (Mac), choose "save link..." or "save link as..." or similar menu choice to save the package directly to your hard drive. Choose this link to download a copy of the BBC series Dr. Who episode guide in MP2000 portrait format or in universal format. Choose this link to download a copy of the latest Newton FAQ (frequently asked questions) in Newton Book format (from late 2000). Choose this link to download a radio station listings that carry Howard Stern in Newton Book format. Choose this link to download a radio station listings for National Public Radio in Newton Book format. Choose this link to download a listing of where individual US states' RCRA (hazardous waste) regulations differ from federal USEPA rules in Newton Book format. Choose this link to download a summary of IDLH (Immediately Dangerous to Life & Health) concentration of common materials in Newton Book format. Choose this link to download a list of beer types (Ale, Porter, Stout, etc.) 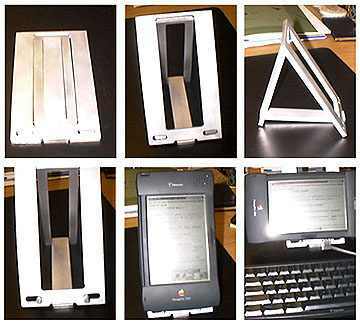 in Newton Book format. Choose this link for reviews of software, shareware and freeware. Choose this link for information on how to configure a Novatel Merlin wireless modem to work properly with a Apple Newton 2000/2100. There's also a picture of me working diligently with it while on vacation. Here's what I envisioned the future of the Newton would be, back in 1994. Note that some items are quaint, such as a new PCMCIA-7 standard; ignorant, such as a 1,440,000 baud modem; as well as prophetic, such as FireWire inclusion! And yes, by a perverse set of circumstances that is (a decidedly young) Steve Jobs as the image in the videophone screen! I was able to find a Khyber Technologies keyboard that was originally designed to be used with the MessagePad 120/130 (note this is now unavailable - I found mine of eBay). 1) I removed the bracket that held the MP120/130 to the keyboard, and sealed the holes. 2) I soldered new wires to the keyboard cable, and drilled a new hole in the case to locate the cable at the opposite end of the case. 3) I drilled mounting holes on the underside of the keyboard to allow a small strip of plastic to be mounted (the gray strip seen below the company logo in the lower left picture). 4) I mounted a narrow piece of brass sheet, curved at the end, to the other end of the underside of the keyboard. A small strip of plastic was glued to the underside of the curved portion - this keeps the keyboard level in use (the brass strip seen in the lower left picture). The Newton's cover slips between the plastic strip and the curved brass piece and the keyboard case. 5) a small brass rod was bent to become the MP2100's stand. I plan to paint all exposed brass pieces black in the near future. I decided to build a stand for my MP2100, as 1) I could not find a stand I liked, and 2) I wanted to play with a mill/drill/lathe I recently acquired. Merci a Gaston et les autres a Sensormedics! Goals for the stand included that it must be no bigger than the MP2100, it must fold flat, be durable, and support the MP2100 high enough so you can use a modem while the top of the Newton is oriented to the right while in landscape mode. The viewing angle is - in my opinion - pretty much optimum. I did not want to have several adjustable angles. Click on each picture for a larger version. Note that you do not need a mill, this stand could be made from plastic or wood with much less effort. Plans in .pdf format are found here. The plans are life-sized, but are not blueprints. There is a scale on them, to set at one inch on the printout. The rest is up to you. Also please note the plans for this stand are copyright by me, this does not preclude non-commercial duplication. Feel free to make a stand for yourself, improve on it, have fun! If you want to make some commercially, talk to me - I'll probably let you if I get one for free. You could also re-size the basic plan for a Palm Pilot, Psion or (shudder) a WinCE machine. If it's not clear, the two short pieces at the bottom of the stand (see picture 4) pivot forward 90 degrees, forming two small supports to hold up the Newton. Click on each picture below to see a larger version.